The filing and registration of various types of business are the responsibilities of the Nebraska Secretary of State’s Business Services Division. The most common business types included in the registry are Corporations, Limited Partnerships, Limited Liability Partnerships, Limited Liability Companies, Limited Companies, Foreign Entities and Nonprofit Corporations The business corporation registry holds various pieces of information related to business entities in the state such as filings, registrations, trademarks, and trade names. The Secretary of State of Nebraska makes it easier for the public to find and learn about a business entity that is currently operating/had operated in the state. Thanks to a state-provided search tool, you can find business entities that are registered with the Nebraska SOS without any hassle. You don’t have to visit the office of the SOS to search or learn about a particular business because you can simply do the activity using your computer or mobile with an internet connection. You can achieve a smoother Nebraska Secretary of State entity search if you follow the detailed instructions provided below. You may choose from “Starting With”. Keyword Search”, “Exact Match”, “Sounds like” and Account number when browsing the database of the Nebraska SOS. You can access the search page for the NE Secretary of State corporations by just clicking here. Once the page loads, you can find different criteria for your search. Choose one to proceed and you can then select an option where you can check the status of the business entity. For this instance, we choose starting with as the search criteria and Hornaday as the business name. Enter the business name then click “Perform Search” so you can see the list of entity names and their respective details such as status, account number, and type. The website can provide you more details of a particular business entity by simply clicking the link termed “Details”. 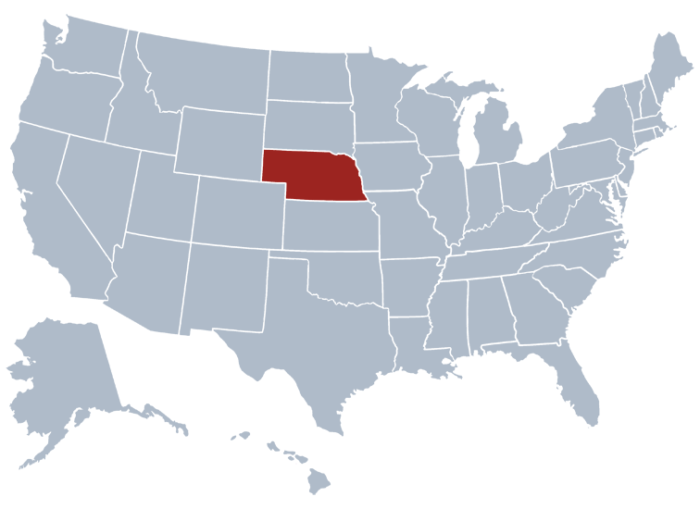 The Secretary of State of Nebraska is an executive branch of the state government and has a term period of four years. This constitutionally appointed office in the state of Nebraska is currently held by John A. Gale. The Governor can appoint a new Secretary of State after the term. The Nebraska Secretary of State has four divisions, namely Business services division, Record Maintenance Division, Election Division and Licensing. The office’s Nebraska corporation search tool is available for the public. This is provided by the SOS so everyone can easily search for registered entities in the state. The office has several responsibilities, which include custody of the Great Seal of Nebraska, certification and authorization of public documents, state regulation, as well as promotion of various aspects of the community between the state and other countries such as commerce, education and cultural exchange.